The registration is now open for the April Mechatronics Education Innovation webinar. 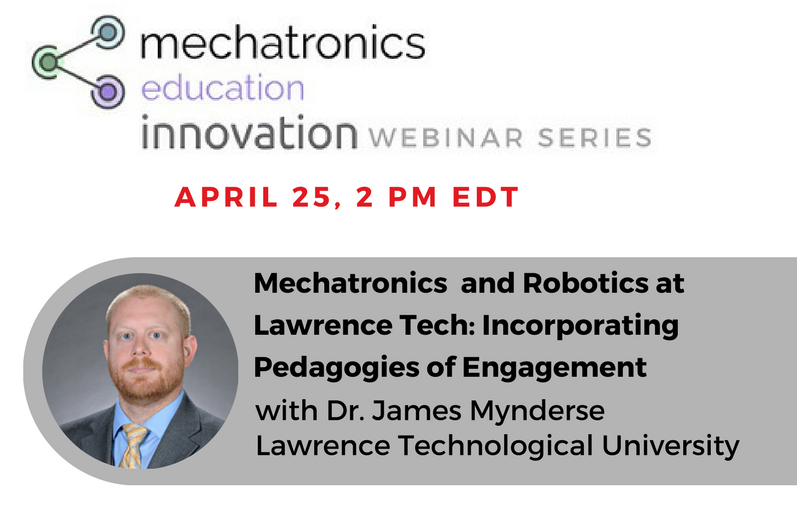 Join us on Wednesday, April 25 at 2 pm EDT to learn about Robotics and Mechatronics at Lawrence Technological University. Dr. James Mynderse, Assitant Professor and the Director of M.S. in Mechatronics Engineering at LTUwill introduce his institution and the Mechanical Engineering Department and provide an overview of their bachelor-level Robotics Engineering and master-level Mechatronic Systems Engineering programs. He will share some examples of the Mechatronic Systems courses and their modifications for a particular senior/graduate mechatronic design course to incorporate problem-based and entrepreneurially-minded learning.